A Leeds-based start-up PR agency has exceeded £100,000 in turnover in less than three years of business. 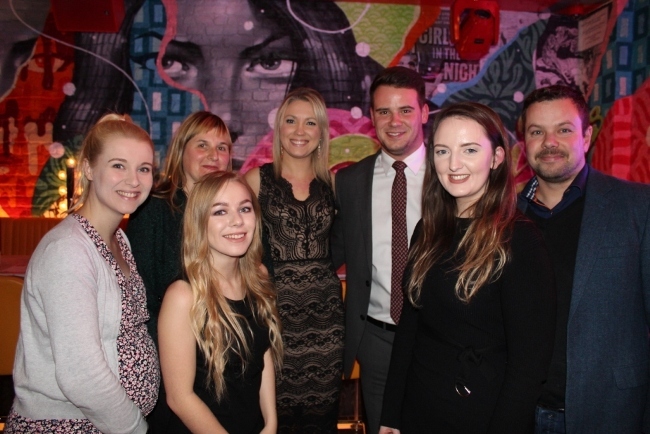 MacComms, based at Entrepreneurial Spark, Leeds, has grown more than 100 per cent year on year and has reached the milestone turnover in sales of PR services prior to celebrating its third year in business this April. Formed by Ellie MacDonald in 2015, MacComms has grown organically since its inception having never sourced external financial investment. The firm now employs four people permanently with and additional two outsourced directors in HR and finance positions. Since forming, MacComms has helped more than 80 firms to raise their profile and the business actively supports a number fellow start-up’s and SMEs across Yorkshire as the area continues to build its reputation as a thriving region for entrepreneurship. Finance director for MacComms, Martin Mellor, said: “To see MacComms go from strength to strength is extremely rewarding and reflective of the hard work that Ellie and the team put in. “To have seen over 100 per cent growth not just once but two years in a row is extremely impressive – the commercial backdrop is not easy and there are many statistics on business failure rates that back that up. Founder of MacComms, Ellie MacDonald said: “With a number of frightening statistics detailing that more than half of all start-ups fail within their first few years, I am incredibly proud to have reached this milestone figure and continue to grow successfully.